Birds come in astounding variety—from hummingbirds to emus—and behave in myriad ways: they soar the skies, swim the waters, and forage the forests. But this wasn't always the case, according to research by scientists at the University of Chicago and the Field Museum. The researchers found a striking lack of diversity in the earliest known fossil bird fauna (a set of species that lived at about the same time and in the same habitat). "There were no swans, no swallows, no herons, nothing like that. They were pretty much all between a sparrow and a crow," said Jonathan Mitchell, PhD student in the Committee on Evolutionary Biology, and lead author of the new study, published May 28, 2014, in Proceedings of the Royal Society B. The scientists examined a group of bird fossils dating back to the Cretaceous period, around 125 million years ago, relatively soon after the emergence of birds. The fossils were collected from an area in China where there was once violent volcanic activity, leading to a plethora of well-preserved fossils as intermittent eruptions periodically killed many birds. The researchers examined the diversity of species in this sample. However, because fossils indicate only the physical characteristics of the birds, understanding the diversity in how the birds behaved required significant scientific legwork. To tease out the ecological roles played by the prehistoric birds, the researchers used modern-day birds to build a statistical technique that could relate the physical characteristics of a bird to its diet, behavior and habitat. Long legs might be associated with birds that wade through water, for instance, and the shape of the beak might hint at what the bird ate. For this purpose, the scientists painstakingly measured 1,400 modern birds—mostly from the Field Museum's collections—and extracted the correlations between these measurements and the birds' behavior. 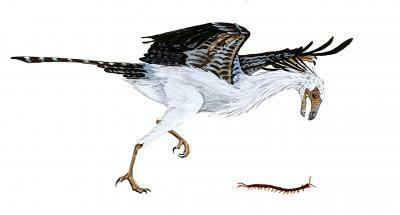 Jeholornis, an early bird, lived during the early Cretaceous period approximately 120 million years ago. 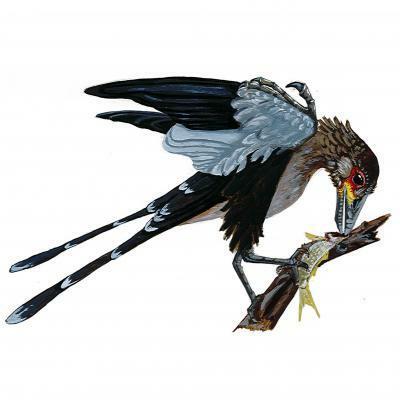 The evolution of Jeholornis and other Cretaceous birds is the subject of a new paper published in the Proceedings of the Royal Society B. However, the scientists still had to show that this technique, which was useful for modern birds, could be applied effectively to the distinct sample of ancient birds. "These birds are very different from modern birds—some of them have teeth, some of them have long bony tails," said Mitchell. Therefore, it wasn't clear if the method would translate. In order to test the method, they looked at the contents of the birds' stomachs—the last meals they ate before their demise—which in some cases had survived the process of fossilization. They found agreement between the method's predictions and the birds's diet, indicating that it worked for ancient birds as well. Once they had confirmed that the method was effective for the fossil birds with food preserved in their bellies, the scientists applied their method to the full complement of the region's bird fossils. They found that these early birds were less diverse than modern birds. In particular, larger birds and water birds were lacking. "They were all pretty much the same. They were ground-dwelling or forest-dwelling little birds, mostly eating insects and seeds," said Mitchell. A possible confounding factor was the bias potentially introduced by the fossilization process. Some types of birds might become fossilized more often than others, artificially reducing the diversity. To examine this possibility, the scientists compared very recent bird fossils to the populations of modern-day birds. They found that the fossilized sample was less diverse, although not enough to explain the effect they had seen in the very old fossils. Longipteryx, an early bird, lived during the early Cretaceous period approximately 120 million years ago. Research at the University of Chicago and the Field Museum shows that the birds during the Cretaceous displayed far less diversity than the astounding variety that exists today. Additionally, the fossils were biased towards larger birds, and birds that lived in water. That is the opposite effect from the one seen in the oldest fossils, which were mostly composed of small land-dwellers, so the scientists concluded that this bias could not be the cause of the homogeneous birds. The scientists' research is beginning to untangle some possible reasons for this lack of diversity. One feasible explanation is that early birds were less diverse due to competition with similar groups—such as the prehistoric flying reptiles known as pterosaurs. But the scientists used an evolutionary model to show that the paucity of ecological niches could be explained simply by the fact that birds were new to the scene, and thus hadn't had time to diversify. "It looks like they just hadn't evolved the crazy diversity of ecologies that we see in modern birds," said Mitchell. The research was carried out through UChicago's Committee on Evolutionary Biology, an interdisciplinary graduate program, which allows for collaborative work between students at the university and outside research institutions such as the Field Museum. Peter Makovicky, associate curator of paleontology and chair of the Field Museum's department of geology, was co-author. The program, Makovicky said, is a great place for students to "really tackle these big-picture questions." The results have implications for when and how birds originated—a topic under some debate—as well as for the study of evolution in general. "In a broader sense, I think that our research speaks to an understanding of how groups of organisms, which are perhaps dominant today in modern ecosystems, get to that point," Makovicky, said. Birds, for example, evolved from humble beginnings into the diverse group we know today. The early bird, therefore, may indeed have gotten the worm—or the insect or seed—but not much else. 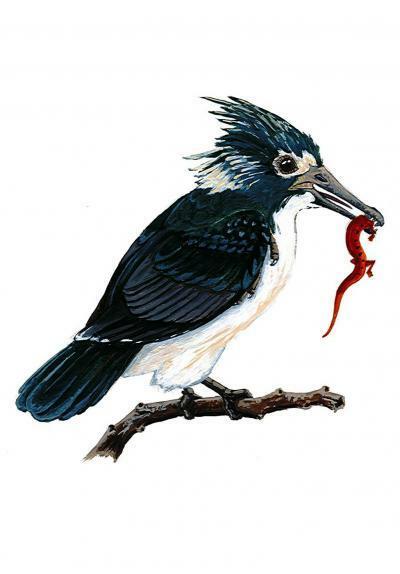 Confuciusornis, an early bird, lived during the early Cretaceous period approximately 120 million years ago. University of Chicago graduate student Jonathan Mitchell has collaborated with Field Museum paleontologist Peter Makovicky on a new study about bird evolution during the Cretaceous.